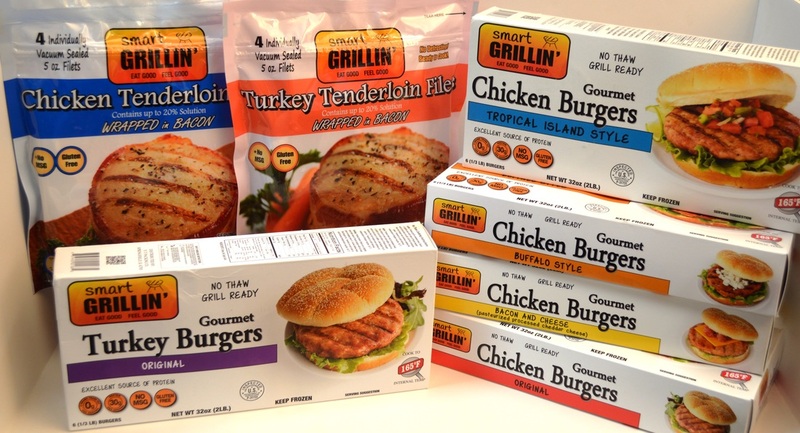 Our goal is to create products that are healthy yet satisfying, and easy to cook. We use lean meat in order to provide a healthy, protein-packed meal. Give us a try, you won't be disappointed! The Illinois Association of Meat Processors held their 2014 convention in Champaign, IL in March. Each year they have a product show in which hundreds of products are entered for competition. This year, Smart Grillin' took home a Grand Champion award for their Turkey Filet wrapped in Bacon. Congratulations Smart Grillin' on this great accomplishment! Pictured at left is Brad accepting the award with his son, Vinny. Thank you for the testimonial, Mrs Chervinko! "I got this turkey tenderloin filet and it's out of this world. My son thought this would be a great Christmas present, and boy he was right - I'm 85 years old, raised 6 sons, and I love this. I don't eat too much meat, but this was a big hit with me. Cooking it was great."